Traumatic brain injury (TBI) is the first cause of disability and death in Europe among children. TBI entails significant complications for memory and sensorimotor functions several years after the initial event. These long-term effects are not only caused by local destruction of brain tissue and but also by alterations in remote brain areas, reflected in remodeled brain structure and dysregulated synaptic activity. 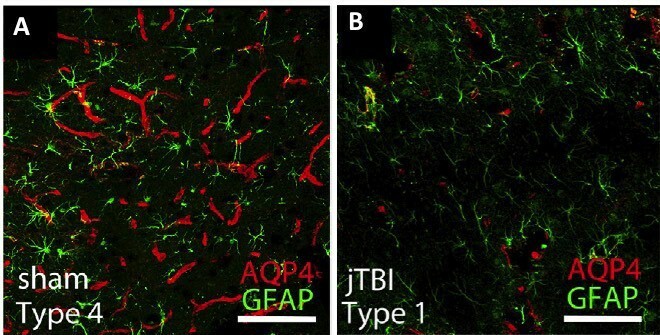 While astrocytic aquaporin 4 (AQP4) plays a prominent role in regulating brain extracellular space and synapses, its potential involvement in the impact of TBI on remote brain areas remains unknown. Here, we propose to study how TBI alters AQP4 expression in astrocytes, disrupts ECS, synapse morphology and behavioral and locomotor performance. 1) Determine the long-term impact of TBI on brain structure and behavior by using a new TBI model on P17 mice and performing a multi-scale and multi-modal analysis of brain structure and function (STED microscopy, histology, MRI, behavior) at 3 and 12 months after injury. 2) Intervene with physical therapy to improve recovery of brain structure and behavioral performance after TBI. 3) Determine the role of AQP4 during recovery from TBI by using transgenic mice, which lack AQP4. 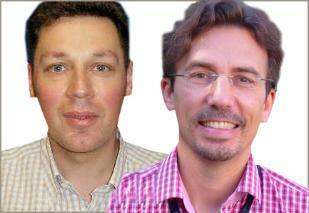 Uniting complementary expertise in synaptic plasticity and super-resolution microscopy (Nägerl) and pathophysiology of brain injuries and MRI (Badaut), the proposed project NanoSpace will provide mechanistic insights into how the brain adapts and recovers after traumatic brain injury.